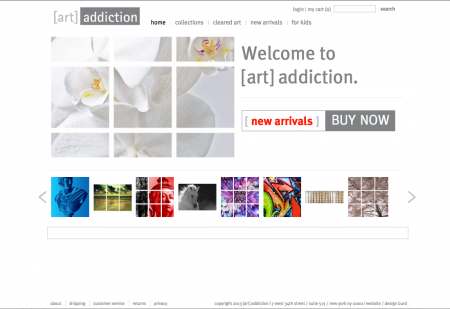 Design Burd Inc.Art Addiction Inc. | Design Burd Inc.
[ART] ADDICTION was born in 1997 as a venue to bring high quality, well-designed art framing to both the architect/designer and retail markets. A single source or a comprehensive range of art services, we work closely to develop exclusive works. Interior design expertise in selection of framing, matting, and mounting to fully coordinate the art with the environment. Our in-house production studio enables us to maintain the highest quality standards in workmanship.